This mangrove forest is in Goa, India. 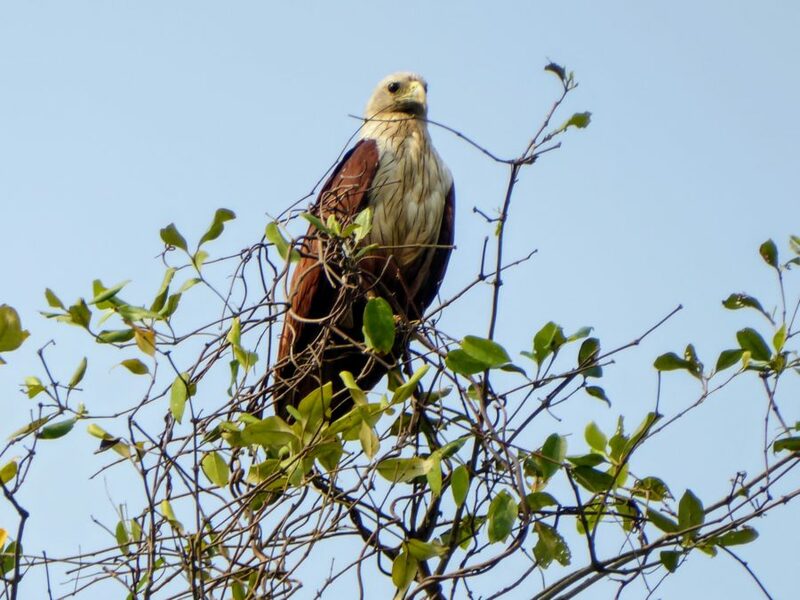 The Chorao wetlands in North Goa to be exact and in easy travelling distance from popular towns like Candolim, Baga and Anjuna. 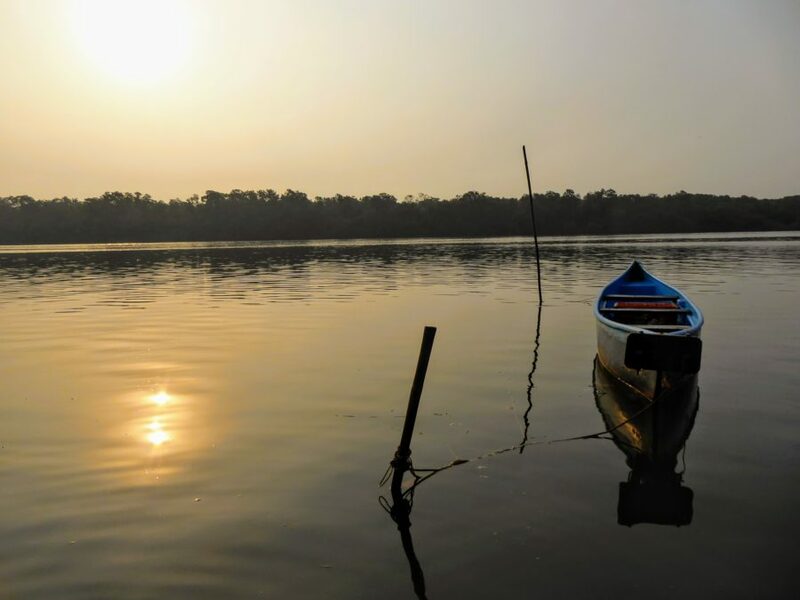 I am here with Adventure Breaks, part of this kayaking tour in Goa in a beautiful paradise. My day started at our launch site on the river Mandovi near Panjim. Provided with a life vest, and after having a quick demonstration from my guide on successful paddling, we kayaked across the river. After a short time paddling along the river where tiny fishes jumped out the water around us, we were in the ecologically important mangrove wonderland. Falcons circled above, kingfishers sat patiently waiting for their next meal, cranes stalked their prey and crabs scrambled along the edges. This is a wildlife haven. A place that many a creature calls home. 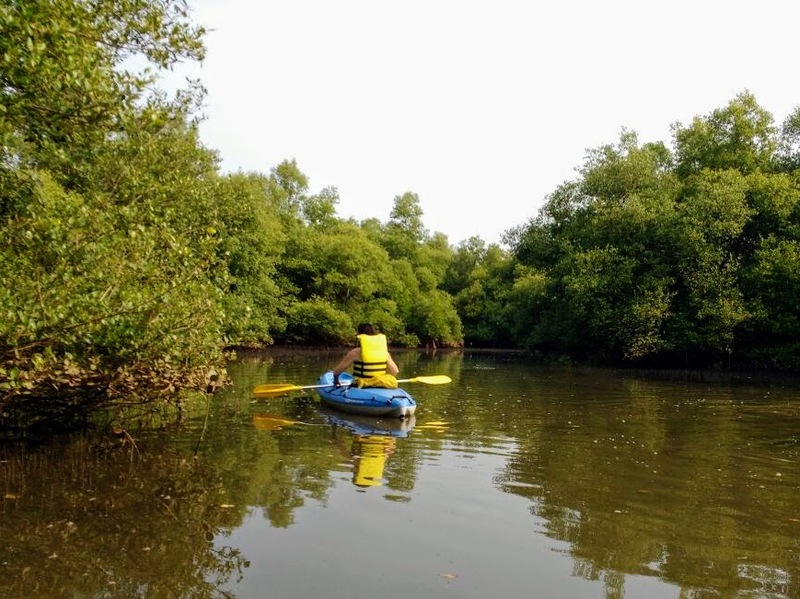 Exploring the Chorao wetlands is best done through kayaking tour in Goa. 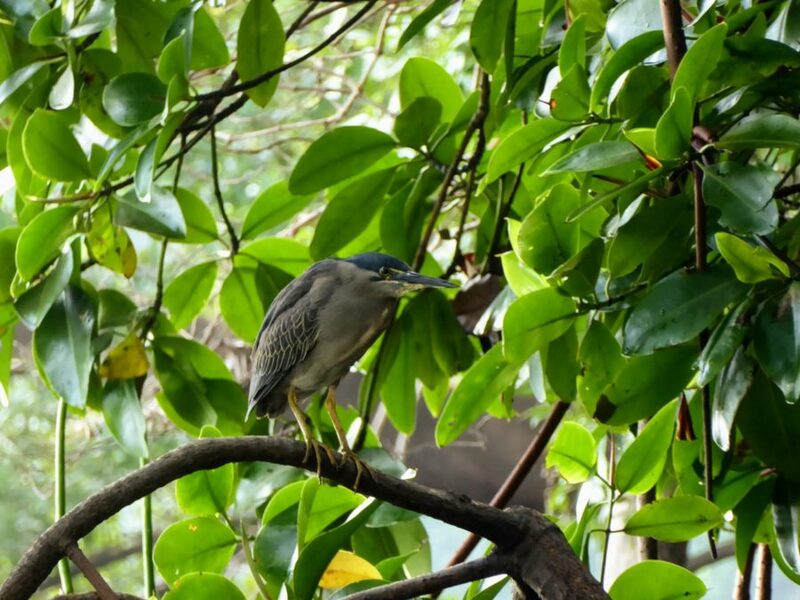 Without any engines you quietly paddle your way through the mangroves without scaring away any of the amazing species who call this their home. You can also get to places that most motorised boats would not be able to get to. Exploring areas hidden to most, getting off that beaten track. In a small clearing we enjoyed an early lunch of sandwiches, a cake and juice. As we sat eating our snacks, life carried on around us. Birds carried on fishing, fish carried on catching the flies and flies carried on well …erm flying. 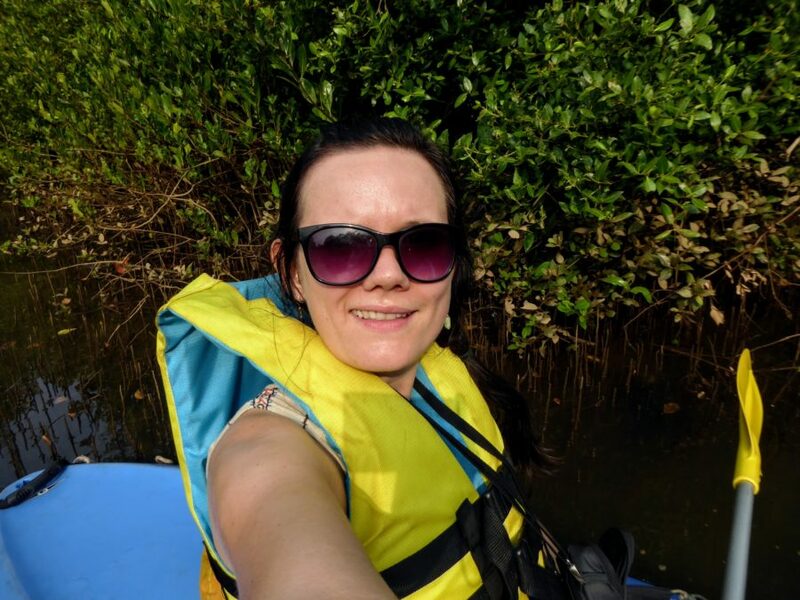 My guide for the kayaking tour in Goa had so much information about the area and the wildlife. Any question I asked, he knew the answer, so knowledgeable. I learnt about the Mangrove forest and the ecosystem within. 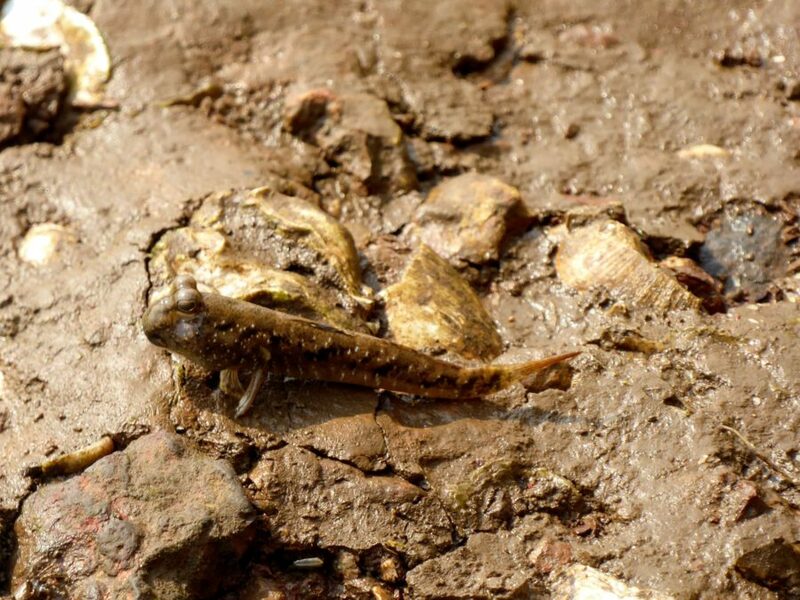 How mother nature had provided a breeding ground for the local fauna. As we paddled back through the narrow channels into the large river to our starting point, I realised how many people who come to Goa, would not even realise that this unique experience was here. How many of these people think of Goa as the beach and party location of India? 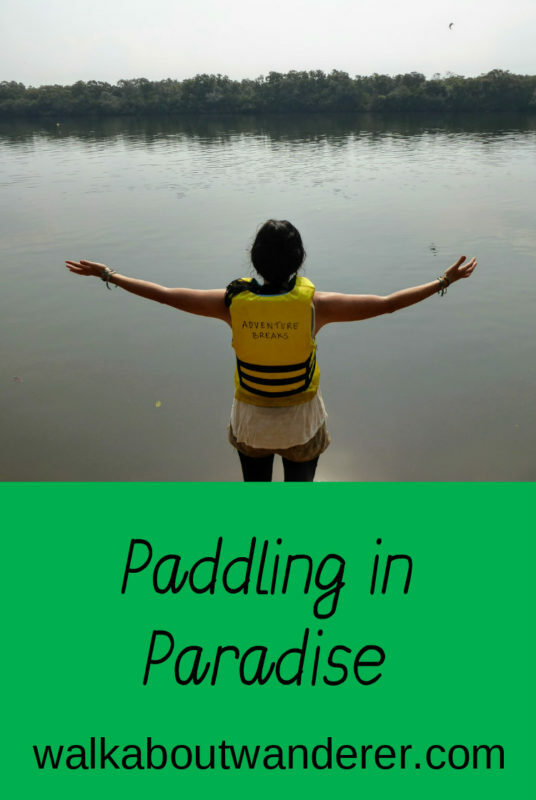 Do they realise that paradise can also come in the form of this kayaking tour in Goa? 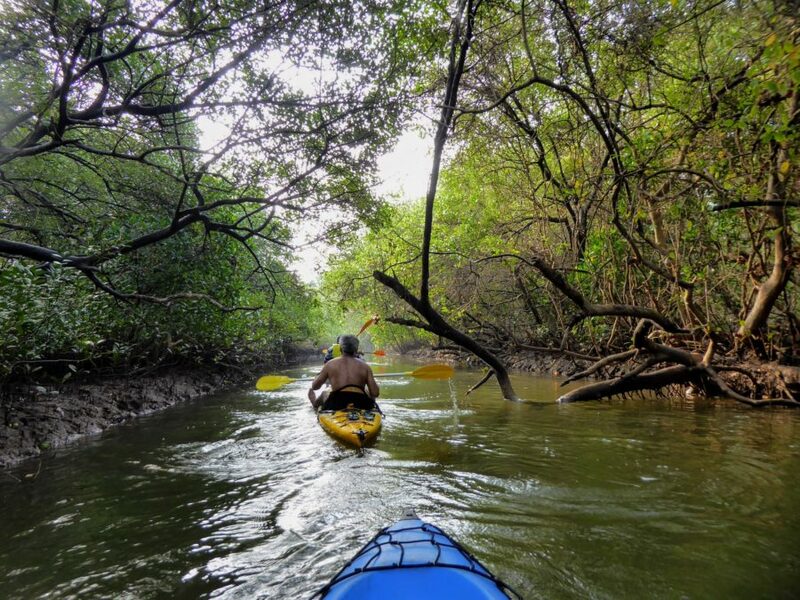 Do you think the kayaking tour in Goa is a great way to see a place? Have you ever been on a cycle tour? Please comment below. Don’t forget to subscribe (It’s free!) to my blog for more posts like this and interesting travel tips. 1/ I took this kayaking tour in Goa with Adventure Breaks. Chorao Chillout Kayaking lasts 3 hours. Time is dependant on the tide times as it is best to do this around high tide. 3/ High quality kayak, paddle and backrest and life jacket is provided as well as a snack pack and mineral water. 4/ You need to arrange your own transport to the starting point and back again. 5/ I recommend you bring suntan lotion, sunglasses and your camera. A splashproof bag can be provided. 6/ Wear something that you are comfortable in and do not mind getting wet. Be aware that if your tour is at the time of the day when the sun is at its strongest then you many want to cover your exposed skin. The kayaks are open therefore your legs are not covered. You may want to bring a change of clothes and a towel although for me this was not required. Wear shoes you do not mind getting wet. It turns out yours was juust as fun!! I so wish to be at Goa now lol! When people say Goa is all about beaches, this is exactly what i tell them. 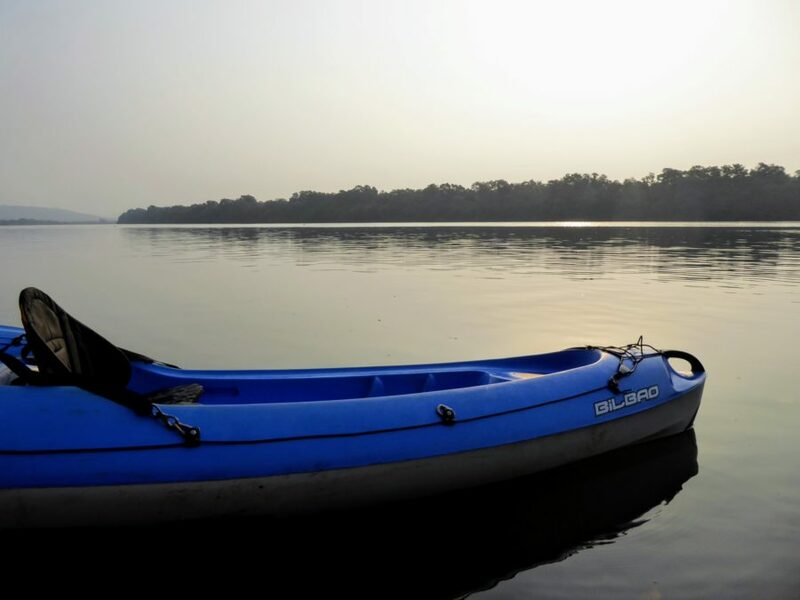 I loved Kayaking in River Mandovi. One of my favourite place to get up close to the nature. The mangrove area looks so interesting to explore. And it was nice that you get to see fishes jump out of the water. It’s always nice to see wildlife and animals in their natural habitat. A kayak tour is also a unique way to go about it – rather than just be taken by a boat. You can definitely explore at your own pace. I have been to Goa at least a dozen times but have never done this. Its always the beach for me…and this is so much soothing and calm. Goa in an annual getaway …this goes on my activity list for the November trip!